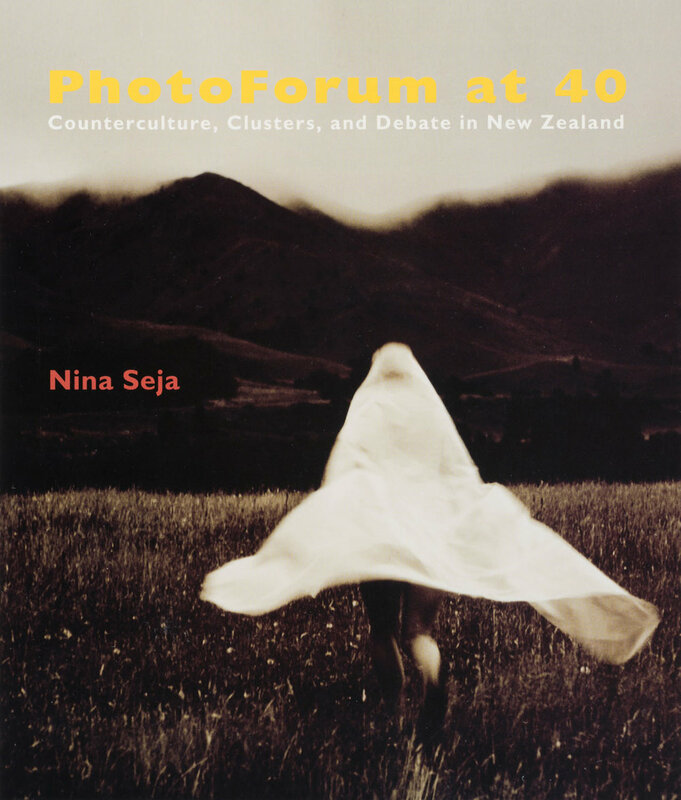 PhotoForum at 40 by Nina Seja, with contributed chapters by John B. turner and Athol McCredie. Cover image by Barney Brewster. PhotoForum at 40 is a major addition to the annals of photographic history in New Zealand. It’s a handsome volume of 300 pages of generous page size that comfortably displays the numerous, splendidly reproduced photographs that support the text: there is hardly a spread without an image. Thorough, wide-ranging, complex and enriching, it is a credit to its author Nina Seja. And also a credit to the founders and members of PhotoForum who, knowing they were making history, cared for their personal and organisational archives, which reputedly they ‘stored under their beds’. By its own definition PhotoForum is ‘a non-profit organisation dedicated to promoting photography as a means of communication and expression’. That’s a recurring mantra that can only hint at the idea that PhotoForum is an activist organisation of photographers of independent persuasion committed to questioning the nature of the medium and its use for personal expression and documenting our world. PhotoForum was formed as a counterculture. Unlike the established camera clubs and photographic societies, PhotoForum did not adopt an hierarchical academy/salon structure with its focus on competition and loyalty to the pictorialist traditions of art photography.